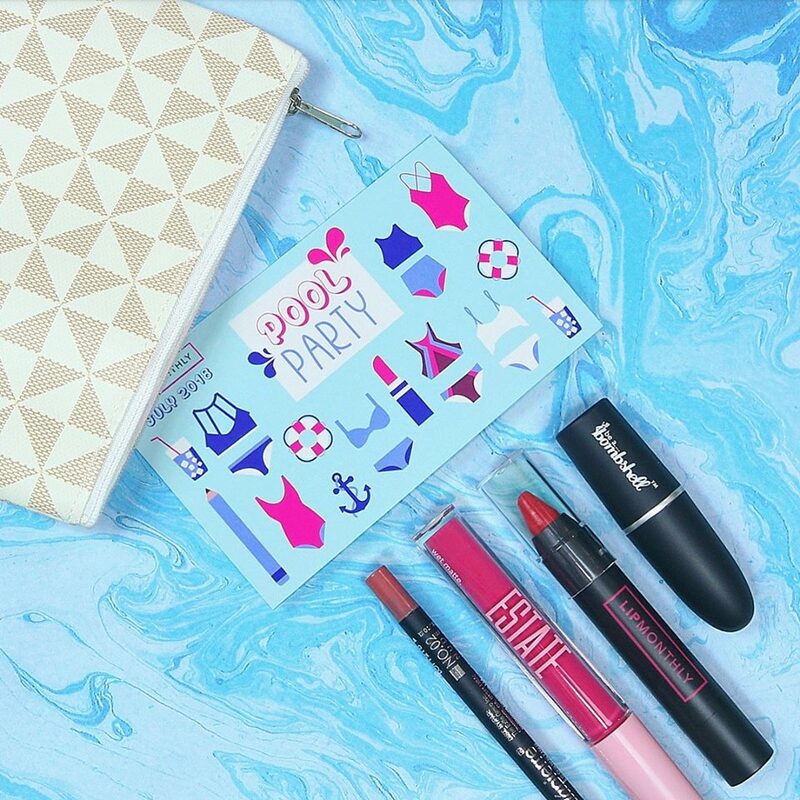 Lip Monthly’s monthly bags are bigger and better than ever. Now you get all full-sized products in your make-up bag. Every month we’ll send you a unique bag straight to your door and help you discover the best Lip Glosses, Lip Sticks, Lip Balms, Lip Stains and much more. In addition, we’ve partnered with niche brands to big brands all around the world to deliver you 4-5 deluxe products every month. yes full sized so there’s no samples just awesome quality items they usually give you a retail price of it all so when your paying $12.95 for a bag that has stuff in it worth $80 you get pretty excited now because it comes from the USA shipping is a little bit different so if you get the February bag you’ll get it in March but it’s still the February bag just takes awhile to get here but it’s so worth it amazing colours suitable price ECT! !